The project ECDL for children and teenagers with cancer runs successfully in many hospitals all over Austria. The project was launched in 2002 and will celebrate successful 15 years in 2017. 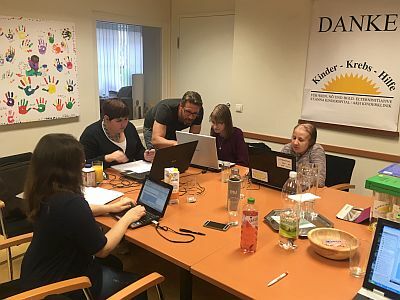 Together with its partners, the Austrian Childhood Cancer Organisation, the consulting company die berater and Microsoft Austria, the OCG offers children and teenagers the opportunity to participate in free training programmes and tests to achieve the ECDL Standard or other ECDL certificates. Experienced and specially educated trainers make first contact with the young patients in hospital and training continues online to reach the goal of an ECDL certificate. This project allows young patients to keep in contact with the world outside hospital and gives them the chance to get an internationally recognised certificate. Since 2002 nearly 600 young patients have enrolled in this programme and have taken almost 1700 ECDL tests. 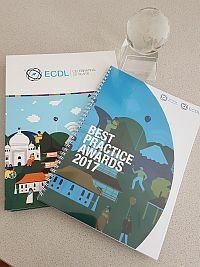 Our project won a Best Practic Award at the ECDL/ICDL Foundation Meeting in Malta. Thank you to all the dedicated people who have made this project possible for 15 years now!